Star of movies A Haunted House 2 & Magic Mike and as seen on Last Comic Standing, The Tonight Show With Jay Leno and The Tonight Show with Conan O’Brien. Gabriel returns to Australia following two sold out tours! 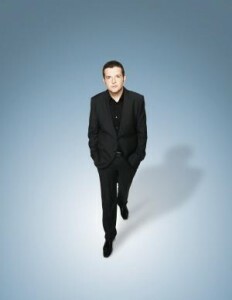 Kevin Bridges is Scotland’s favourite stand up comic! He tours Australia for the first time in March with shows in Melbourne Brisbane and Sydney. Despite having not set foot in a comedy club before his first open mic spot in 2004, Kevin’s natural gift for comedy ensured he quickly became a regular at major comedy clubs up and down the country. In 2006 Kevin performed his first full-length solo show at the Glasgow International Comedy Festival, to a sold out audience and much critical acclaim. Moving into bigger venues every year, Kevin continued to sell out his hometown festival in 2007, 2008 and 2009.